What colour will it be? Can I get it in black or another colour? What damages my henna stain? 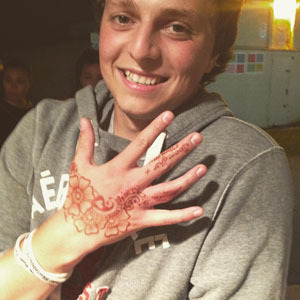 Should i get my henna before my vacation? 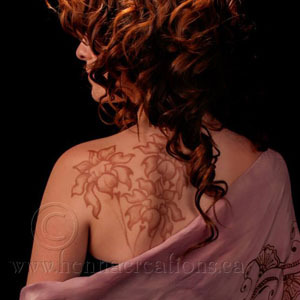 why are there different colour henna hair dye kits? 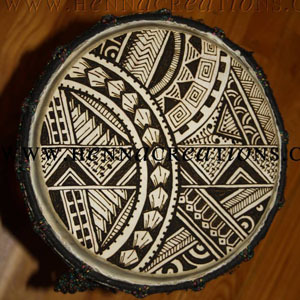 Henna (Lawsonia Inermis) is a shrub that grows from mid-Africa to South Asia. It’s leaves contain a natural yellow dye (a Hennotannic acid) called Lawson that binds with collagen in the upper dead skin cells & keratin in hair and nails to produce a reddish brown stain. This stain is temporary, fading naturally with the exfoliation of your skin. 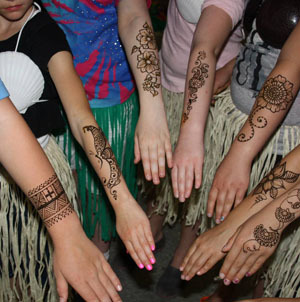 Each henna design is applied freehand, allowing for unique variations and personalization. 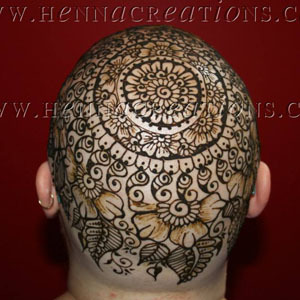 Henna is the safest natural cosmetic; painless & proven be an extremely rare allergen. I personally make my 100% natural henna paste using pure henna leaves with lemon juice, essential oils & sugar. 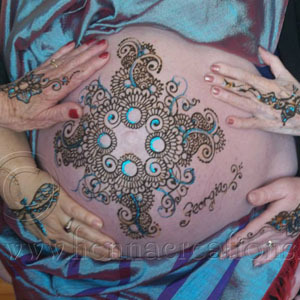 Only if your doctor has told you that you have G6PD or you are allergic to fava beans & aspirin, should you avoid henna. 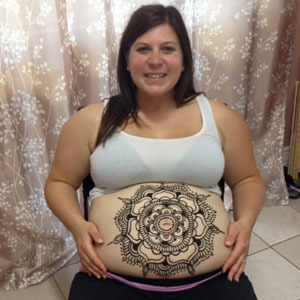 Acclaimed professional artist Lisa Spaulding has toured all across Ontario hennaing thousdands of clients at top shows in the province and now her services are available to you for private apointements as well as parties.